Tickled to Teach: Another Award!!! Another sweet surprise this weekend when I was awarded the Lovely Blog award from The Journey of a Substitute Teacher, Dragonflies in First, and First with Franklin. 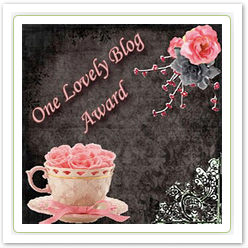 Definitely feeling the bloggy love! Thanks for the award! It's my first ever, how special!